Arsenal have been linked with Southampton midfielder Morgan Schneiderlin for much of the current campaign, but their pursuit could be without fortune, as the Saints’ head of football development, Les Reed, has insisted that the club won’t be selling any players in the summer. However, despite selling a plethora of first-team regulars last summer – with Rickie Lambert, Dejan Lovren and Adam Lallana moving to Liverpool, while Luke Shaw sealed a lucrative £29m switch to Manchester United, and Calum Chambers signed for Arsenal – the Saints won’t be making a repeat of such business this time around. Southampton were expected to suffer as a result of their transfer dealings this season, but new manager Ronald Koeman has led the team on a charge for a European spot, as they currently sit just eight points off fourth placed Manchester United in seventh. Unsurprisingly, the Saints hierarchy are impressed with the current squad, with Les Reed describing the team as “fantastic”, and aren’t eager for any drastic changes to take place. Reed told Sky Sports, “It wouldn’t be our intention to sell any of our players this summer. 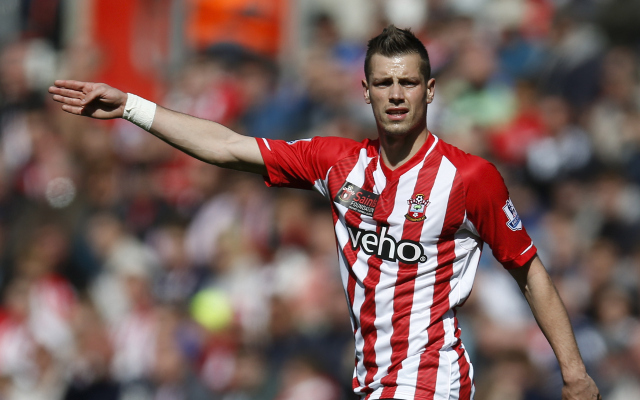 Southampton are expected to be hit with offers for Schneiderlin and Jay Rodriguez, who has been linked to Manchester City (via the Mirror), when the transfer window opens on Wednesday, July 1 – but, as Reed’s comments suggest, will stand firm on holding onto the prized duo.